Talk about starting off the year the way you mean to go on! 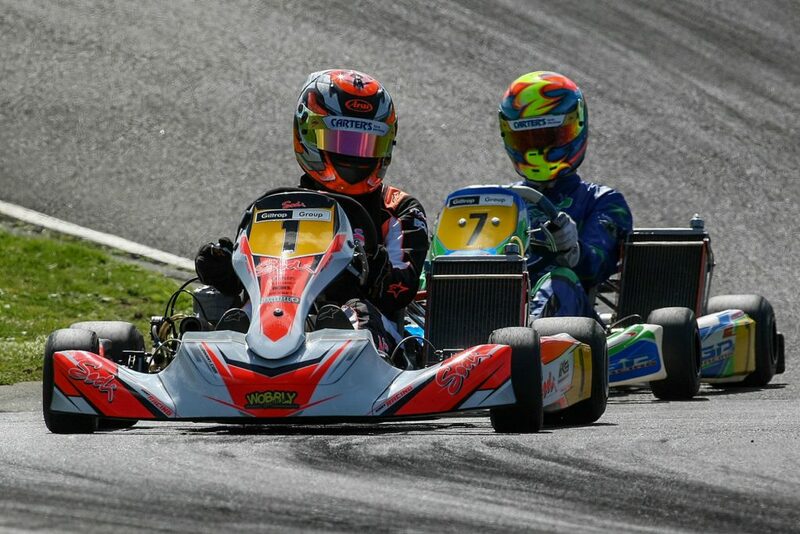 Over 90 of the country’s top karters are making their way to the KartSport Hamilton club’s freshly re-named Porter Group Park kart track this week for the new-look Porter Group-backed CIK Trophy of New Zealand meeting incorporating the opening round of the 2019 ROK Cup New Zealand series. The CIK-FIA is the governing body of KartSport around the world and the meeting – at which CIK of NZ and Challenge Cup Trophies are contested across a number of classes – was an annual fixture on the local karting calendar from 1998 to 2013. 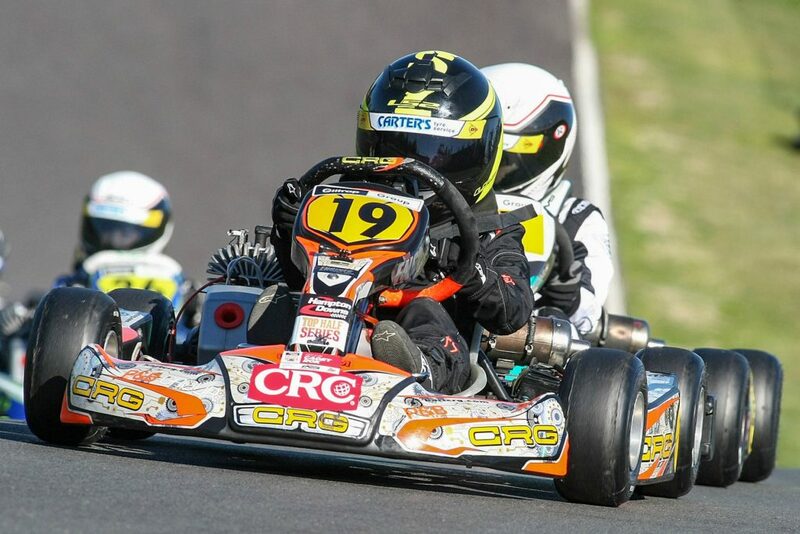 One of the catalysts behind the reintroduction of the CIK Trophy of New Zealand meeting has been the recent addition of two new kart classes, Vortex ROK DVS Senior and Vortex ROK DVS Junior to KartSport NZ’s official roster. The spec Vortex ROK DVS engine is very closely based on the current CIK-FIA OKJ class engines and is the same as used for the CIK-FIA Academy class, which runs at major CIK-FIA events in Europe and in a number of other countries. This means that with the 6-speed gearbox/125cc KZ2 class the sport here now has three CIK-FIA categories on which to again base a once-a-year, stand-alone gala meeting. With the two other Vortex-based classes, Cadet ROK and Vortex Mini ROK now well-established on the local scene (and part of the Challenge Cup support programme at the CIK Trophy meeting) it also made sense to kick off this year’s ROK Cup New Zealand series – with three major travel incentives specific to the meeting – this weekend. The winner and runner-up in the new Vortex ROK DVS senior class, and winner of the Vortex ROK DVS junior class at Hamilton this weekend each win trips to the annual ROK Cup International meeting in Italy in October, prizes which include free entry, the use of a kart and engine as well as return airfares from the KartSport/Lascom Motorsport/Dunlop/Motul international travel fund for each driver. Not surprisingly the meeting has attracted the cream of the country’s karters, including reigning New Zealand Sprint Kart champions Mat Kinsman (KZ2) from Auckland, Jacob Douglas (Vortex Mini ROK, now in ROK DVS Junior and Rotax Max Junior) from Christchurch, and Blake Corin (Cadet ROK, now in Vortex Mini ROK) from Tauranga. Kinsman heads a 14-strong KZ2 field bursting with both talent and possibility, whether from long-time sparring partner and 2018 CIK-FIA KZ2 SuperCup (at Genk in Belgium) runner-up Daniel Bray and his 2018 European campaign teammate Mathew Payne, recent class returnee Graeme Smyth (all Auckland) or impressive former Junior class standouts whose Senior focus is now on the KZ2 category, Ryan Wood from Wellington and Joshua Parkinson from Auckland. Jacob Douglas, meanwhile, has a very busy weekend ahead of him, contesting two classes, Rotax Junior and Vortex ROK DVS Junior. Also doing the Rotax/Vortex Junior double are Liam Sceats and Nathan Crang from Auckland and William Exton from Picton. The big drawcard in the new Vortex ROK DVS Senior CIK Trophy class is the entry of reigning and now three-time Asia Porsche Carrera Cup champion Chris van der Drift, who is now back living and working in Hamilton. 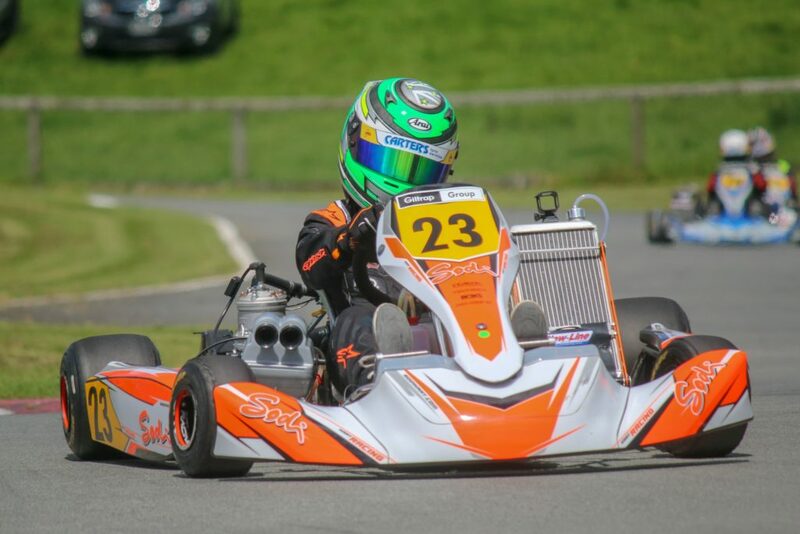 The now 32-year-old was one of the country’s top karters before he moved to cars, winning the Junior ICA title (and trophy) at the CIK Trophy of New Zealand meeting back in 2001. Up against him is a mix of youth and experience with Wellington-based female international Rianna O’Meara-Hunt representing the former, and her long-time driver coach – and four-time NZ Sprint Kart champion in his own right – Arie Hutton from Palmerston North, the latter. Multi-time South Island champion Chris Cox from Rangiora is also entered, as have Brad Still from New Plymouth, Braedan Snowden from Whangarei and brothers James and Ashley Higgins from Palmerston North. The two Junior Challenge Cup classes are again some of the best supported with 19 entrants (matching that of Rotax Junior) in Vortex Mini ROK and 18 in Cadet ROK. 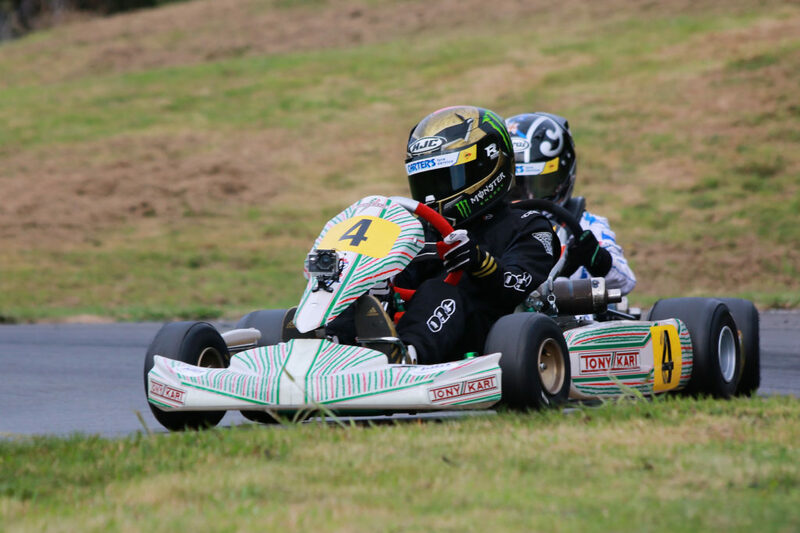 While it’s hard to look past reigning South Island champion Louis Sharp in Vortex Mini ROK, there are at least six other youngsters just as capable of winning the Challenge Cup. Included in that number are Emerson Vincent from Pukekohe, Jay Urwin from Tauranga, Sebastian Manson from Auckland, Tom Bewley from Havelock North and Kiahn Burt from Palmerston North. Cadet ROK is harder to pick though if the results from last year’s Top Half and WPKA Goldstar Series are anything to go by the battle for the Challenge Cup will pit local ace Riley Boswell and fellow North Islanders Carson Daly, Ethan Church and Jamie Thompson against class South Island title holder Arthur Broughan from Blenheim and fellow Mainlander Izaak Fletcher from Christchurch. There will be karts on track at Porter Group Park from 9.05am until around 5.00pm with practice, time trials (qualifying) and the first two heats for each class on Saturday, and the remaining heats plus the Pre-Finals and Finals on Sunday.